Ghosn sees the Captur, shown, helping Renault to boost Brazilian sales. CURITIBA, Brazil -- Renault CEO Carlos Ghosn sees the Brazilian auto market stabilizing after steep sales reductions amid the country's worst recession in decades. "Right now we see Brazil's auto market recovery with great hope. I don't think anybody believes the Brazilian market will stay at around 2 million vehicles [of annual sales]," said Brazilian-born Ghosn. Brazilian auto sales have fallen by half since their 2012 peak due to a severe economic downturn and ineffective industrial policies. Automakers have said they see the market stabilizing after the brutal contraction, which drove sales to the lowest level in a decade during the first half of the year. 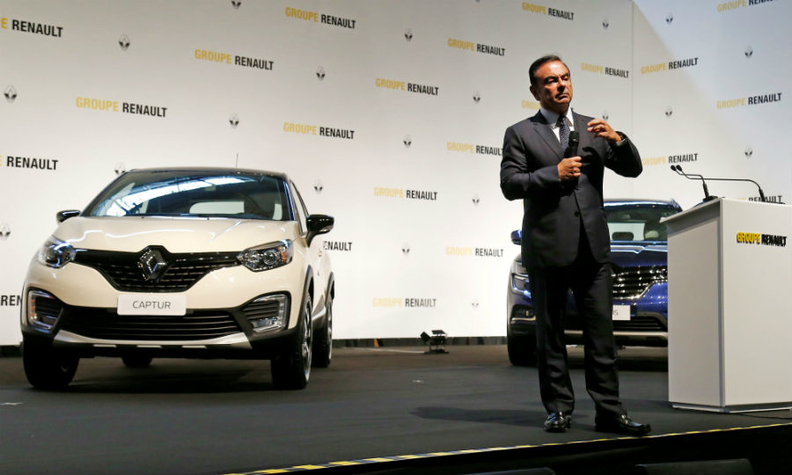 Ghosn was speaking to reporters on Tuesday as the automaker launched local production of its Captur and Kwid SUV/crossovers in the southern Brazilian city of Curitiba. The factory currently builds the Duster, Sandero, Logan, Duster Oroch and Sandero Stepway. Ghosn said Renault is targeting an 8 percent share in Brazil and believes there is potential to grow it to 10 percent in the coming years.